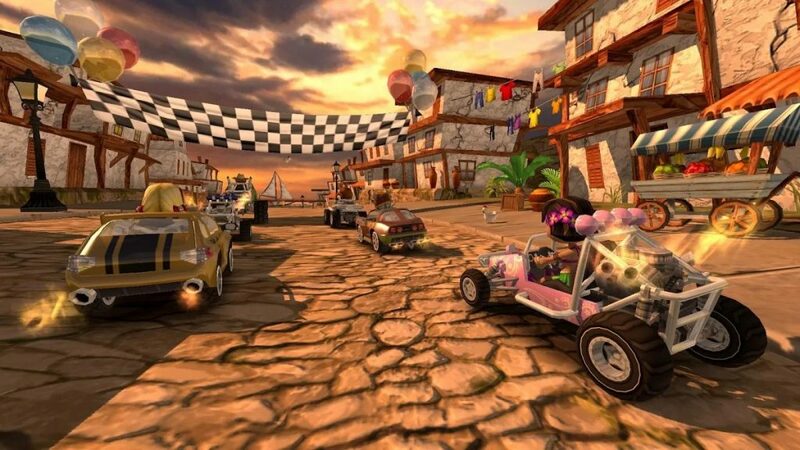 Home / Games / Beach Buggy Racing: The amazing kart racer! Why do I love Beach Buggy Racing? 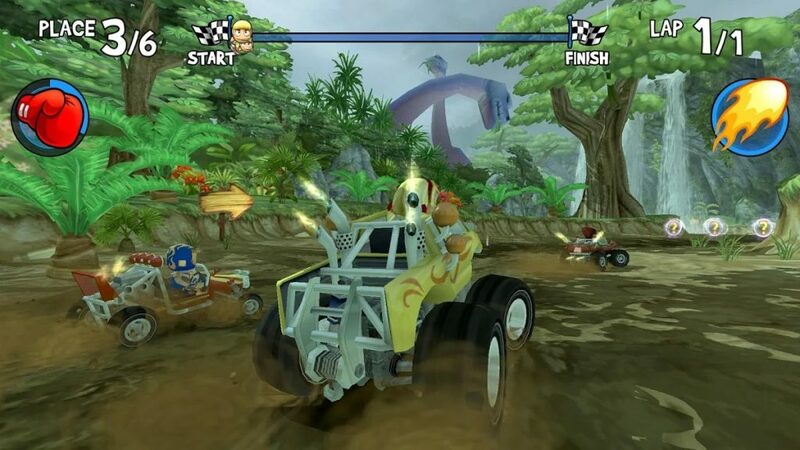 Beach Buggy Racing (MOD Unlimited Money) is a racing game inspired by the legendary game Chocobo Racing – a game you’ve probably played on a PC or PlayStation 1 in the past. We have not forgotten the feeling of playing this game with friends over the weekend or after boring school. And now, we can experience an upgraded version of the game in terms of graphics, gameplay and countless other cool features. I really like this game because of the great fun it brings, moreover the game encourages you to play with friends, bring beautiful memories for everyone. 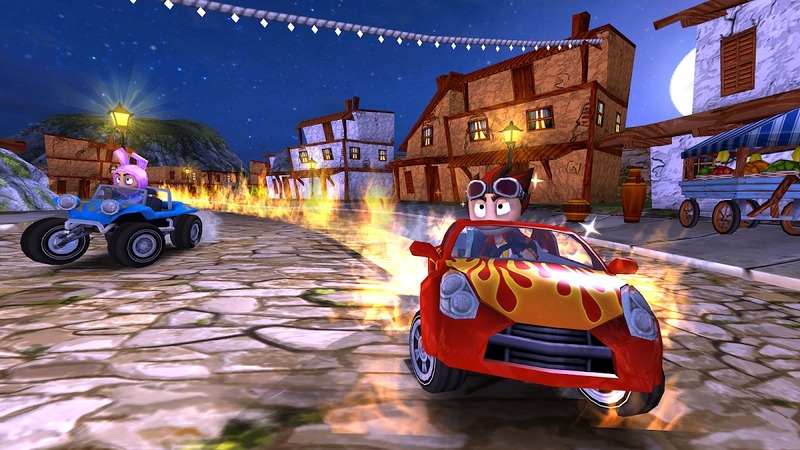 The previous episode of this game is Beach Buggy Blitz has achieved great success with over 30 million downloads. Is Beach Buggy Racing enough to make you feel curious? The game has the same gameplay as other racing games on the market such as Asphalt or GRID Autosport. No matter who you are or what you do, the main goal is to move fast to the fastest destination, leaving behind all your opponents. The game allows you to enjoy the ultimate driving skills. You don’t have to obey the traffic rules, keep pressing the gas and keep moving forward. However, this game is a bit different. This is not the usual race between racing athletes, this is the monster race, where there are monsters with special cars you have never seen before. These vehicles have special skills to attack other drivers such as rocket launchers, instantaneous shifts or skills to distract the enemy. 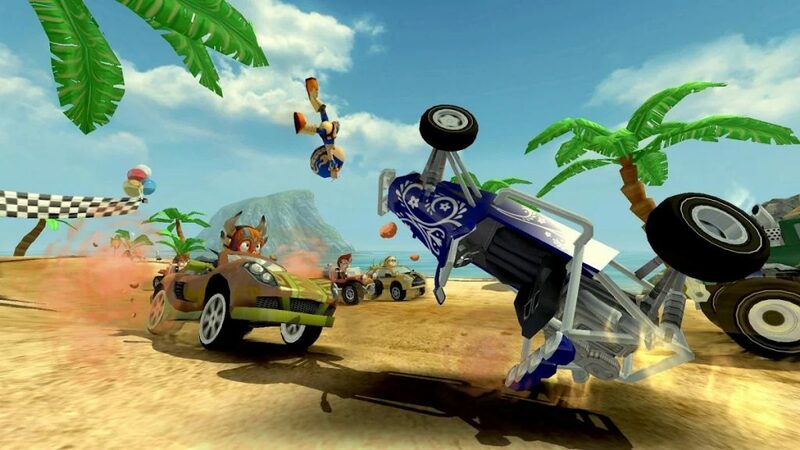 With your skills and flexible use of Power-ups, become the first finisher in Beach Buggy Racing. Once you win, you will have some money to unlock and upgrade many different vehicles. You can also unlock more power-ups that you want. The Boss of Buggy Beach Racing will be the real challenge for your steering wheel. The first boss is capable of spreading the petals along the way, if you go through them, your car will be slowed down. I recommend you go back to the previous level to get more money to upgrade the car. 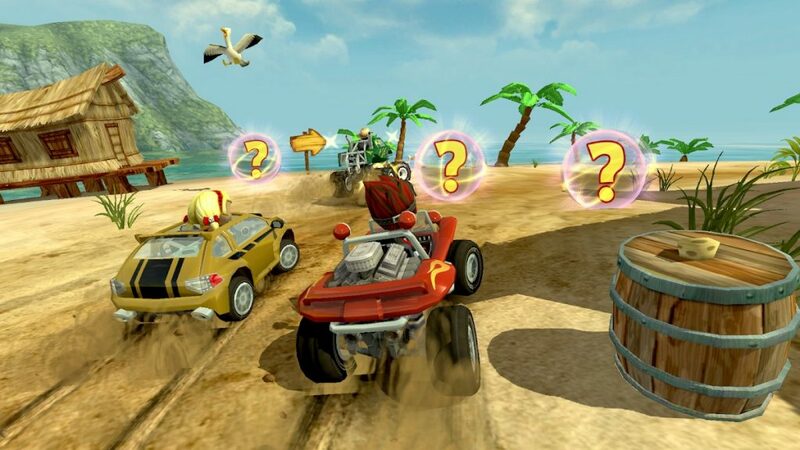 Beach Buggy Racing has a very intuitive and convenient control system for players. It’s like other racing games, so you’ll quickly get used to the game’s controls. Control systems come in a variety of styles such as screen tilt or push buttons, you can change them in the Settings section. Can you believe that? You can connect with up to three other players to race on a TV or smartphone/tablet connected with TV. However, this feature requires you to pay cash to unlock. Surely you and your friends will have fun moments after playing this game. Beach Buggy Racing has 12 different races for you to conquer. You will discover the mysterious dinosaur forest, the beautiful beach and the spooky swamps … The environment in the game is beautifully simulated in different colors, take you into a gorgeous animated world. 3D graphics help to make your image experience clearer. When it rains, you will feel the droplets flowing on the phone screen. Basically, Beach Buggy Racing is still a traditional racing game, but there are plenty of new and exciting features to explore. The game will bring you a new experience. Do not forget to invite friends to play and beat them, prove who is a super racer in Beach Buggy Racing? Beach Buggy Racing MOD APK is ready to download! Depending on your needs, you can download Beach Buggy Racing MOD APK or Beach Buggy Racing Original APK. Or install from Google Play / App Store if you want. Tornado.io! – Twist and swallow the world!